Our calming “Nure-en” brings out the beauty of Japanese cypress and is soothing to the soul. ●The ※ in the P/N is the color symbol, please substitute P, M or B, when you order. ※Shipping charge is not included. 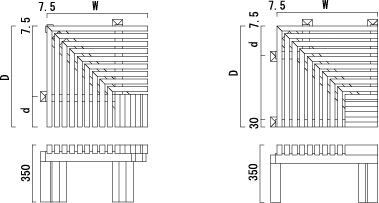 ●This product is available for both inside and outside corners types to fit any type of house. ●This product can be used for basking in the sun, showing around visitors and so on. 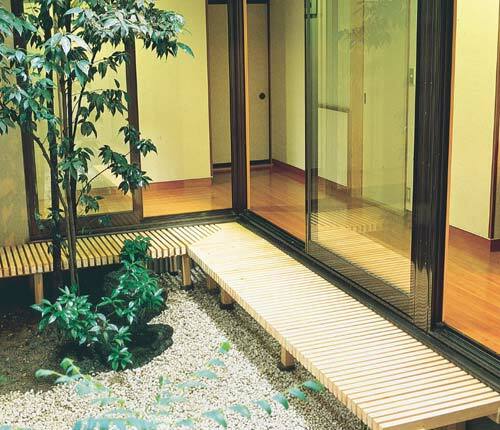 ●This product adds the beauty of Japan to your garden for a more elegant living space. 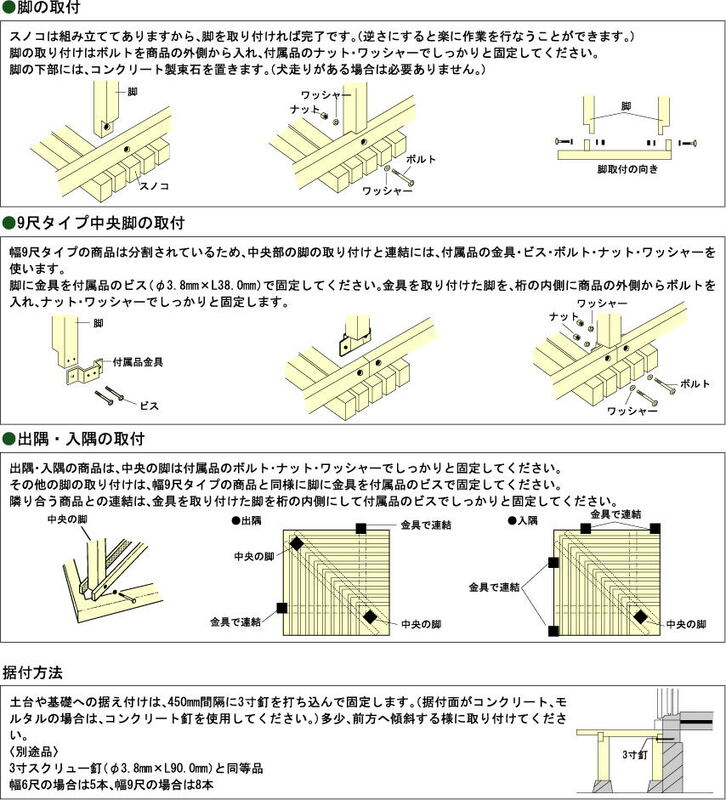 ●To connect with deck boards and girders, plastic dowels and adhesives are used for bonding. ●We have 3 painted colors (Pine, Maple and Brown) to choose from. 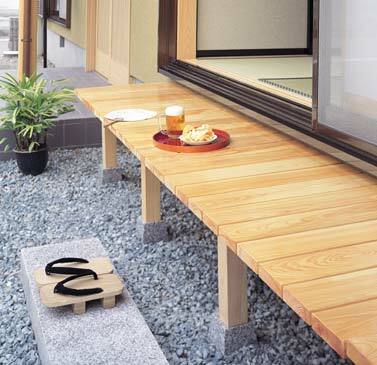 ●Can be installed by simply attaching legs to the finished planks.